Back in June, I wrote a post about a travel reflections project I had once contributed to called Being Abroad. A few days ago, I had received word that the project site has now been made live after a few years' hiatus. 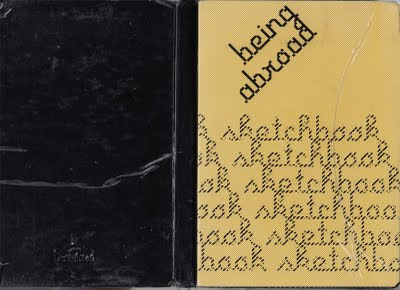 I finally got to glimpse what I had written and drawn all those years ago, and seeing the sketches again brought about feelings of nostalgia and regret, along with reflection on the sentiments expressed about being abroad, now recorded in Sketchbook #5. Although I claim to document my reflections "three parts," they only really represent the two countries where I had most recently studied abroad: France and China. I was in France for the Spring of my junior year in college and predominantly lived in Paris, with a brief week-long homestay in the southern part of the country. This was the start of my intense love for travel, adventures, and the idea that I could transplant myself and live elsewhere and somehow blend in. My daily 20 minute walk to school, the food I ate, the culture I absorbed, the classes I took were all small parts that made up the whole of this amazing experience, convicting me that every student should try and study in a foreign country if they could. The stretching-ness and just sheer fun of it changed my perspective about home. Studying in China was also a similarly joyous situation - this time, the 3 months of summer right after graduation. This, though, was more defined by the friends I spent time with, the intense language training, and the new knowledge learned about my heritage. It was also a trip, though, that challenged me more than I thought - not simply because Mandarin was harder to learn than French for me, but that I somehow had hoped to "blend in" more easily than I actually could. Perhaps this has to do with the fact of being Chinese American, having been raised in the States and not fully knowing the language of my 'people.' I looked the part, but couldn't act it - was far from it in many ways, although I worked hard and made great strides in that short time. Like many others at the boundary between two cultures and two nations, I felt - and still sometimes feel - regret about what I couldn't be, although over time I've come to accept the different strengths that come with a hyphenated ethnicity. My time abroad - particularly in these contexts, but in subsequent journeys as well - has been marked by both a profound sense of place as well as a certain placelessness. In each experience, I had the opportunity to soak in a new culture, new language, new environment, new friends and 'family' - all very specific to the context. Living in Paris is quite different from living in Beijing, as if it weren't already clear enough. 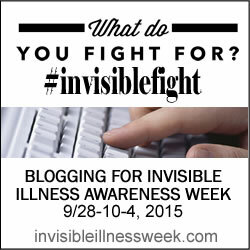 But the placelessness was more about identity, where nationality became the key to defining who I was. In France, people could never pinpoint it. They actually almost never thought I was American, but rather asked if I were Japanese or even Brazilian Native American (... this was true!). In China, I got similar questions of "where are you from? No, where are you FROM from?" because I looked Chinese but spoke with an accent. Most taxi drivers then assumed I was Korean, which made for entertaining explanations. In more recent travels, the role of language has changed a bit. Instead of being an indication of self identity or something about myself, I found that the power of speaking in the same tongue is more about the people you are communicating with. In Cambodia, my Khmer was less than conversational but the villagers we worked with appreciated those gestures - no matter how paltry - because we were attempting to genuinely communicate in a way that they could best understand. It enabled me and my teammates to form relationships over English/Khmer lessons on the construction site, singing "cement/simong" every time we went to mix more mortar or accidentally flung some onto each other. I suppose it was a way to say, in minimal words, that by caring enough to learn a language, we were showing care for that person. 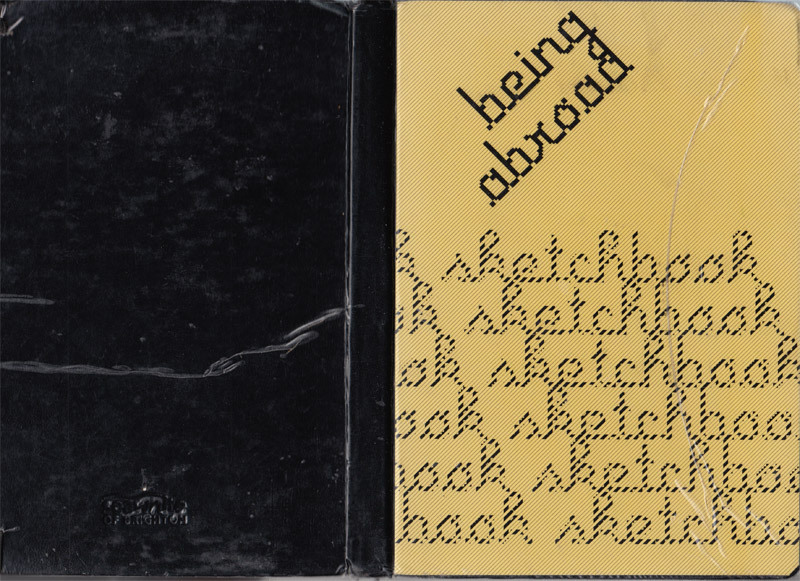 Being abroad - eye-opening, self-revealing, relationship-making, and fun-filled, it becomes about people and crossing borders to find commonalities instead of simply about places and capturing the monument on camera. So, where to next?